This is my last review of this 2015! 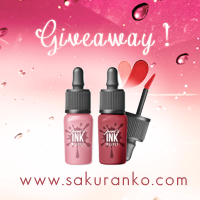 (＾▽＾)ハ(＾０＾)ツ～And I´m super happy because I decided close with a fabolous product that sincerely I´m not sure why I didn´t a review before about this excellent product. 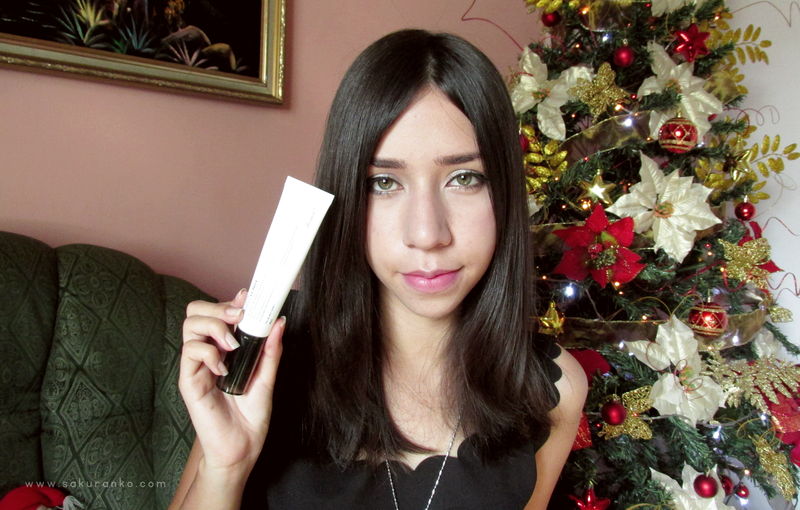 This time I´m talking about the Holika Holika Aqua Petit Jelly BB Cream and this is not an sponsored review~ And I´m happy to share this review today because for me writing a review is the best way to share this year. And If you want a great BB Cream for this 2016. ▽ Price and Texture: For me the price is super cheap for the amazing quality of this BBc ream and wow I can´t believe that the price goes to 7$ to $13 USD. The texture is just like a Jelly this is my first BB Cream with that amazing texture. This is very watery but even more watery than MIZON WATER VOLUME MOISTURE B.B CREAM and for me this has a better color of beige that match better that BB cream. - Jelly moisturizing and great texture. - Good control of sebum. - On many countries you only can buy this product online (like me). (＾○＾)オ(＾▽＾)ハThis new year will be amazing! I know we are only a two day for finish this 2016 and I´m here writing about dresses and very probably tomorrow I´ll be uploading my last review of this year so wow I´m very excited and I know the fact that so many people is busy but remember spend the last days of this in the best way that you want, don´t be so much stresfull. Sincerely one the things I most hate is the stress. For that reason I want be here right now writing about wonderful dresses and cheap plus size dresses I mentioned before this store called Fashionmia that by the way has wonderful products and I love it all the dresses. My favorite color regarding to clothes is the black today all the dresses are black for this post. I´m not sure why some people think that can´t be black bodycon and cheap plus size dresses but for me the black bodycon dresses are perfect for anyone. I love it the bodycon style and for me is great for a woman with curves. I love it that in fashionmia you can find too hot plus size dresses like this black dress. The best of two worlds lace and black, If you need find cheap plus size dresses and beutiful designs with lace and short dresses or maxi dresses visit Fashionmia. I´ll be using black for this New Year Eve so for me find good short and black dresses is the best. Please let me know in the comments If you like these dresses and how you plans spend New Year Eve! I hope with this post you can find more beautiful dresses. 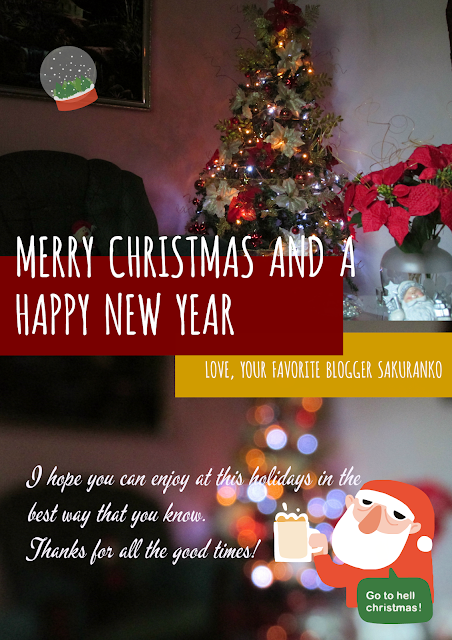 My best wishes and blessings to all my readers you are the best thank for the amazing support. 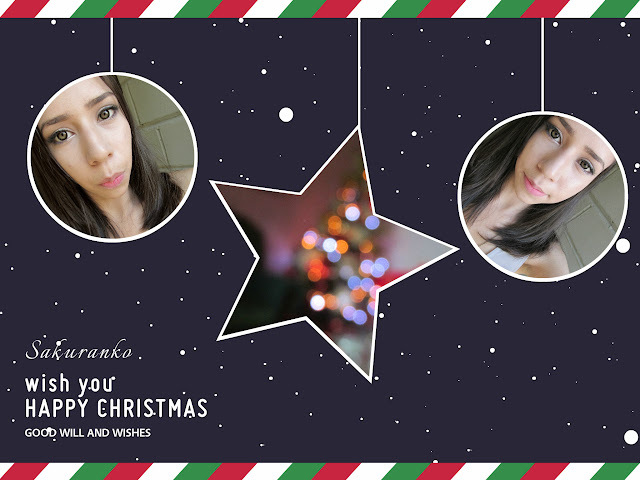 Happy Holidays~ I hopy you been enjoying these days（＾▽＾）／I´ve been in home with my family. Thanks to heaven my parents and my little brother are very good. To my bad I wake up on Christmas Eve feeling a bit weak and on Christmas I wake up with weakness I call this asthenia and I wake up with red eyes and a rash on my skin I spend right now I´m unhealthy but days before Christmas Eve I recorded a serie of videos for my upcoming reviews and that is good. Yesterday I watched The Good Dinosaur It was an amazing and beautiful movie, sincerely I cried. Now respect to this review probably my last review of this year I don´t know~ xD I received from the amazing circle lens store Klenspop these circle lenses the Geo Grang Grang Gray Circle Lens Review and I´m very grateful with this store because I received these circle lens for review purposes and wow I´m very happy because I really like it these circle lenses. ✵ Design/Pattern + Color: The design is like and star or a gray diamond but to the same time simulating a natural iris. 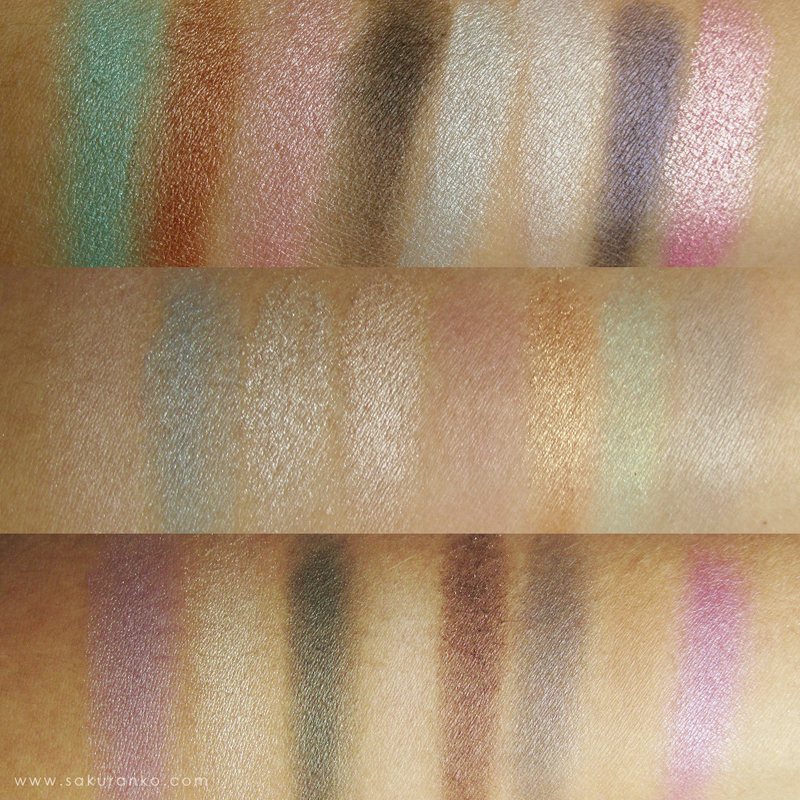 I loveit the fact that the edge is no completely black and that the design blended perfectly with my natural eyes. 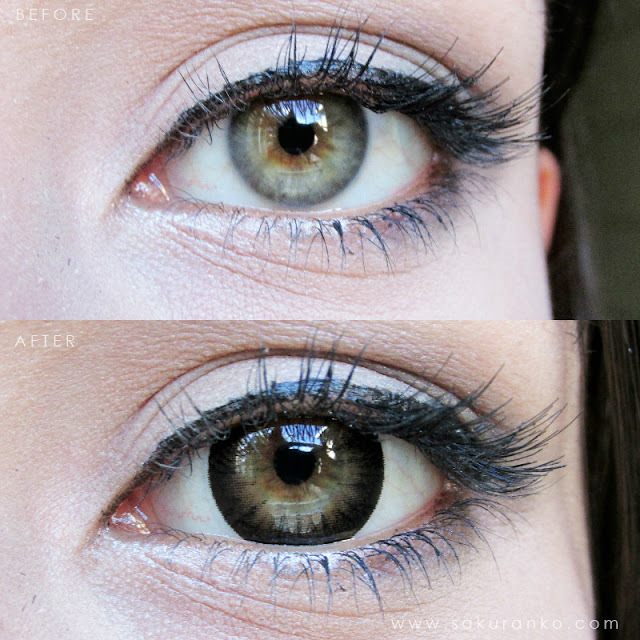 The edge is more like dark brown o gray brown and these circle lenses only has two colors. 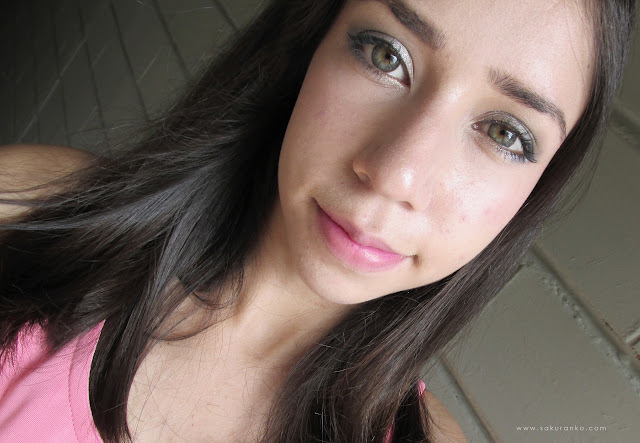 ✵ Comfort: Super comfy I feel like I´m not wearing circle lens. 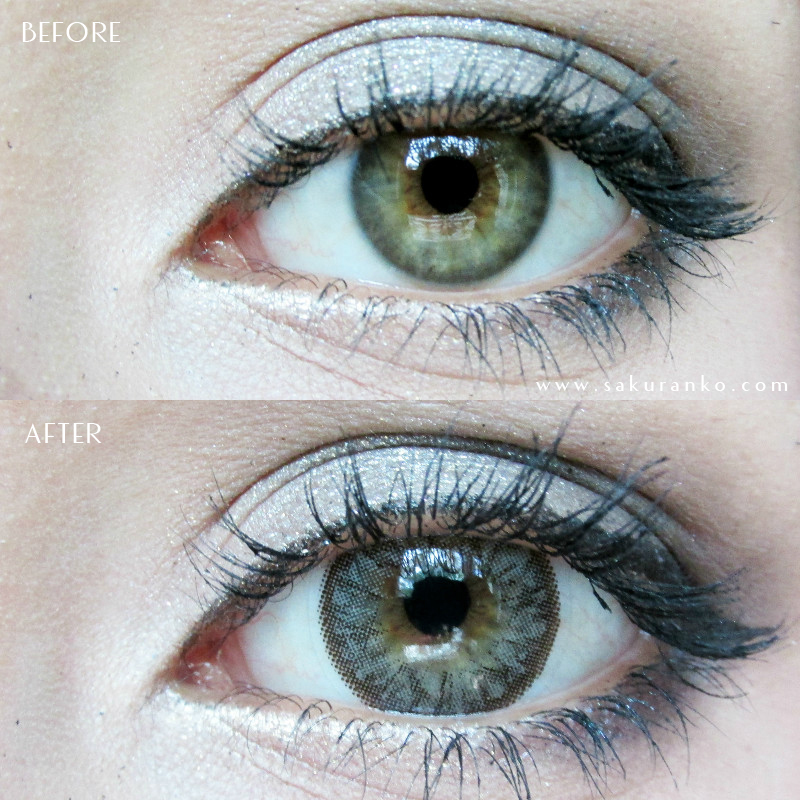 ✵ Enlargement: For only 14.2 mm of diameter the enlargement is very good and noticeable. 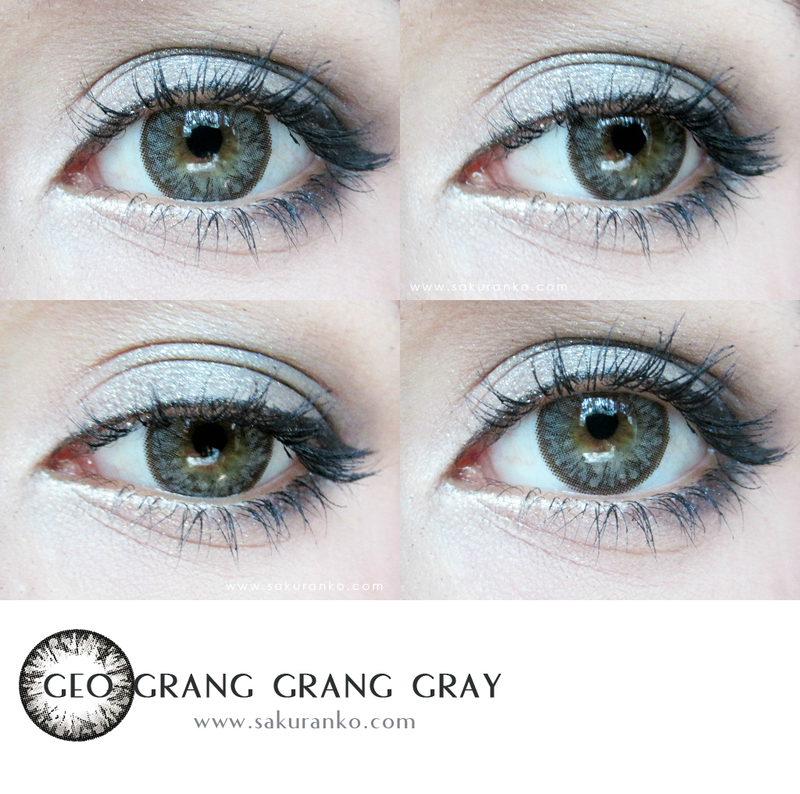 ✵ Overall: I really like it these circle lenses because the effect on my eyes is super pretty and my eyes looks different to the usual gray I love it the enlargement and for me these circle lens are great If you are looking a gray circle lens between the dolly and the natural effect. 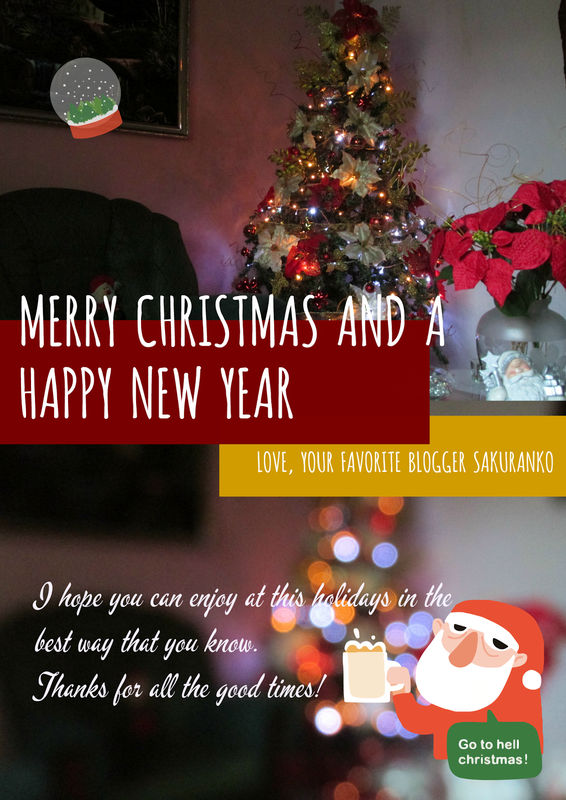 My best wishes and blessings for all the people that visit my blog! Wow I´m super tired because just a moment ago I finished with my mom the household cleaning before Christmas Eve~ We don´t have a maid or service cleaning so always the cleaning is between us. (ㅇㅅㅇ❀) And believe me that is very tiring. But right now I´m here because I need made this review about this amazing product and I´m talking about the Benton Honest TT Mist. And I´m super happy with this product because works super good. I was worried to use this product because I had a bad experience with some samples from a toner from Benton. (,,◕　⋏　◕,,) but this is not the case because this is a great product. I received this product from a great store called RoseRoseShop for review purposes but like always all the opinions are based on my own experience with this product. (」・ω・)」This is super important! Ingredients! And of course How To use! ಧಿ Packaging: This mist to difference to other is a white tube with black letters and this contains very relevant information on English about the product and I sincerely appreciate this, because for me is important read more about the product too. For me that packaging is practical because looks more small but the quantity of product is 40 mL so is the average but is perfect for carry on my bag. Even If is not very pretty I like the packaging. ゜ﾟ･*\(^O^)/*･゜ﾟPlease watch my video review! - Moisturizing and fresh effect. This product says for all skin types and I was very worried because in the most of cases this means only for normal or dry skin. (ﾉ◕ヮ◕)ﾉ*:But this is not the case of this product because I believe is probably that proabbly works for all the types of skin. I love it this product because refresh my skin and the same time provides a very good quantity of moisturizing effect о(ж＞▽＜)ｙ I love it this product because control my oily skin and the sebum of my skin without dry my skin. I have sensitive skin and this reduce the redness and and makes me feel my skin calm and improve the complexion If you use this product everyday. I used this for morning and nights and is super good. By the way this helped me to reduce some scars of some ocassional primples and wow for me the quality of this product is very good. I highly recommend. My best wishes for you and the yours. o(≧▽≦)o .｡. The time flies, but the truth is the time doesn't stop for us. The time continues with or without us. And I feel pretty happy today because I have the opportunity to be here writing on my blog after 5 years.ฅ( ͒ᵕ̳◡ᵕ̳ ͒) I feel happy and proud of myself because I´ve grown in so many aspects thanks to my blog. This ╰( ´・ω・)つ year has been very important to me because I found myself in so many amazing books and I´m very happy. For that time I doesn´t have any reader or any follower but I always sent many blessings for all my followers ヽ(｡ゝω・｡)ﾉ And now I feel proud of that feeling because I changed a lot but the feeling is the same. You are the best kind of people on this world! I need say an special thanks too~ To all that stores that believed on me. Because thanks to you I can give and share my opinions about amazing products from your stores and that is really great for me and for many of my sweet readers and followers. ヽ(*⌒∇⌒*)ﾉ And thanks for share my content on your Fan Pages and your websites for me that always is amazing. (*≧▽≦) I need say thank to all that stores that want cheap me and to my followers~ Now I know of detect this type of stores too xD But the funny is that now I´m aware of this type of things and I do more researches. And now is more easy to know what type of store are a fraud. The reason because I share that song and I´m listening right now ~ By the way that song is some old but I don´t care ~ Because the meaning of the lyrics is amazing and for me the meaning in Japanese is not really romantic for me is how works the life itself. 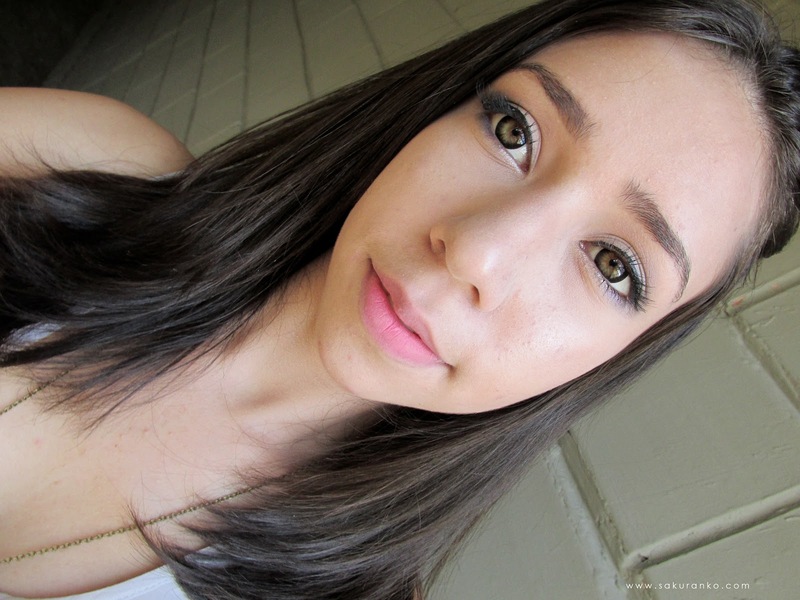 ▼o・ェ・o▼In these 5 years I discover that I´m not alone, and that sometimes the people is not always the best company. And that some people that call you friends are only people that want discourage you and make feel bad. And when yu least expect show the real face. ψ(*｀ー´)ψ And that in College we don´t have any real friends and I learned to live with that. And which is the relation of this with my blog? That all that things affect me in a positive or negative way. o((*^▽^*))o´The best way of live is doing what make us happy~ And to me my blog makes me happy. I enjoy writing the reviews and blogging. I see myself blogging for another 5 years? The next year I need focus more in College and I don´t know how I´m going to make that works with my blogging time But this is part of my life. And I can see myself in the future blogging because I love it! o(〃＾▽＾〃)o I need to continue learning more and more but I said on my first post that this will be funny and has been completely funny. Sometimes I feel upset and unhappy (like this past week for example) but I´m happy right now and I hope continue growing like person. I want send a huge Hug and Thanks to all that people that support me. ･*\(^O^)/*･ SINCERELY YOU ARE THE BEST! If you like my Artistic Collage for this Christmas and for today! I want invite you to use one of my favorites online places for edit pics and yes I´m talking about Fotor. 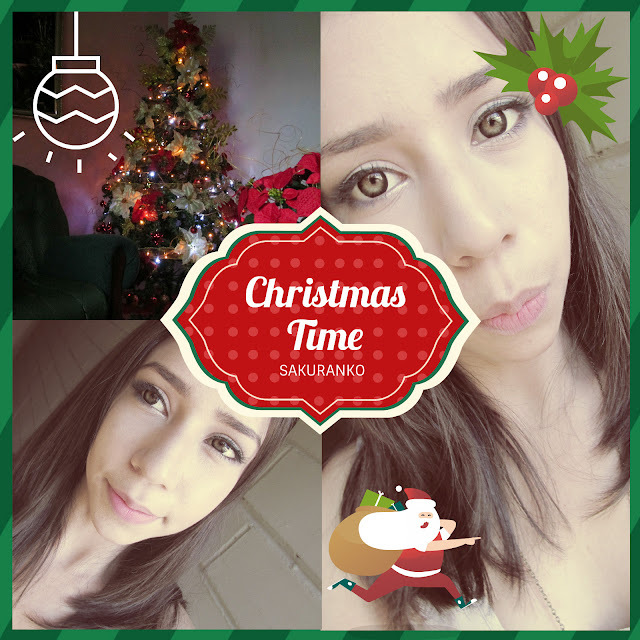 At this Christmas season and with the Holidays you can find beautiful and funny stickers that you can use on your pics and that is super great. I enjoyed so much creating beautiful cards and collage with the online photo editing and that is great because If you love take pics or a lot of pics like me you can have great material for create good content and to the same time enjoy and post yur creations on your social networks ヾ(@^▽^@)ノ I love it the stickers he fonts and the templates for create beautiful cards or posters for this holidays. I hope you visit Fotor and enjoy all the good tools for create cute content. By the way I want eggnog! Some days ago I did a post about this lovely service in general. And i want let you know that with UsGoBuy is super easy make your purchases on US. 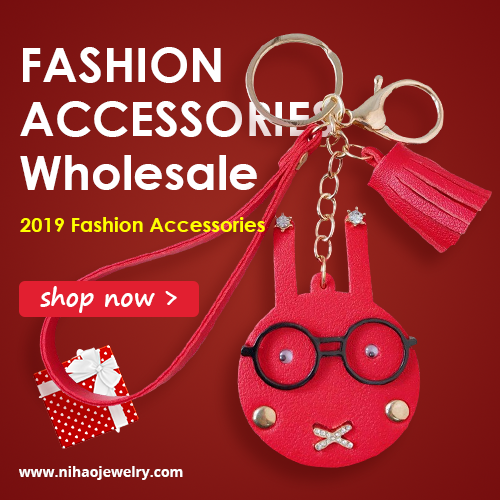 I know the year will be over soon and all want make our purchases fast for make your gifts on this upcoming Christmas. 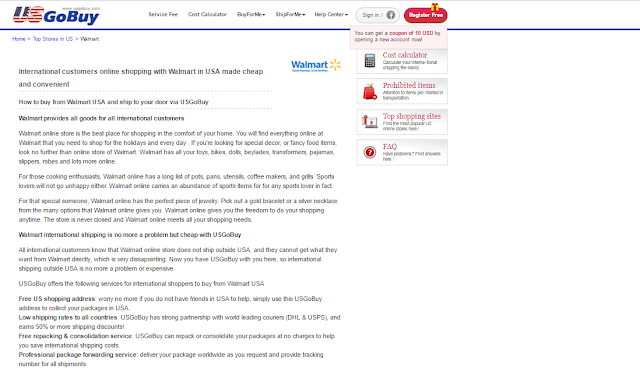 One of my favorites stores is Walmart but a problem that I have and that for buy here I need another service because this store doesn´t ship to my country. Today I´m here for share with you a place where you can shopping from US from some stores that doesn´t ship to your country and this place is super useful. 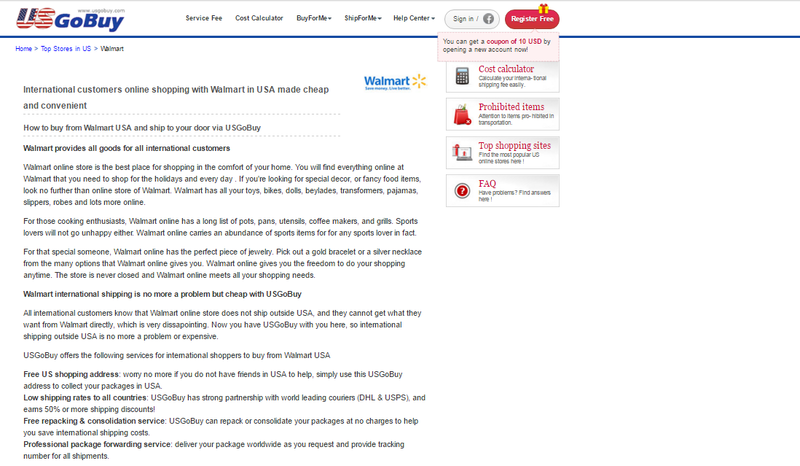 This website offer you an us address and this way you can access to the product and is super easy with just few steps for buy from websites like Walmart and I love it because I don´t want complications to the time of make my purchases. Obviously you going to receive a tracking number after from the us delivery goes to be shipped to your house. 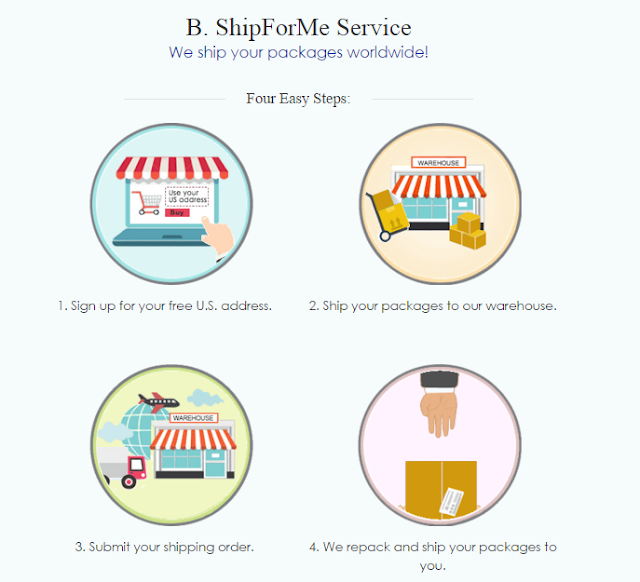 USGobuy works of course with International Shipping. I hope you can find USGoBuy useful and I want to know and the comments if you know about this website! I know many of my readers doesn´t live in US for that reason USGoBuy is a super good option for them and of course for me because for me purchase from some US webstores is always a problem. I´m super happy to be writing this review~ Because wow I´ve been very busy lately and and I was making this review step by step. (⑅ ॣ•͈ᴗ•͈ ॣ) I´m happy because these are one of my favorite circle lens of this year 2015~ ♡ Probably one the most cute and dolly circle lenses. For me the dolly circle lenses is complicated to use because I have light eyes so is easy for me looks with eyes of death fish. Now these circle lenses were provided for Klenspop for review purposes but like always all my opinions are based on my own experience with the lenses. ✵ Design/Pattern + Color: The design is like the iris is a mix between a medium reddish brown and black and I love it that because the color to inside is not straight is more like smooth brushstrokes to inside the iris with both colors, but the edge is very black, outside is very defined and inside the color blends perfectly with my natural eye color. The design makes the eyes more brighter and with a dolly and cute effect. 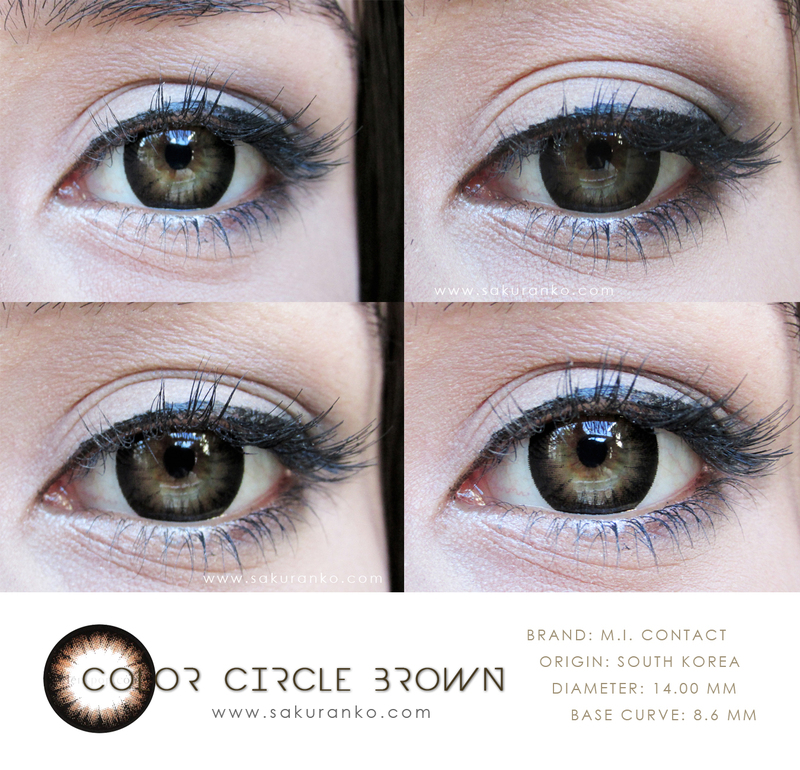 ✵ Enlargement: Like the most of circle lenses with a black edge for dolly effect the enlargement is very noticeable but not exaggerated. ✵ Overall: I love it these circle lenses ɞ(ू•ᴗ•ू❁)because are perfect for a super dolly cute effect but to the same time are perfect because the color and the effect blends with my natural eye colors and not looks fake and my eyes looks more innocent and pretty~ I love it that mix between black and medium brown is super lovely. These are super comfortable and I don´t need use eye drops for moisture my eyes and that is very cool for me. The effect is different of others circle lenses and I love it how changes my makeup and my selfies thanks to these loveleis circle lens.  I´m very happy and （●´∀｀）ノ♡I recommend If you want a dolly and cute effect. Maybe the effect is less noticeable on eyes with black or dark brown color but I don´t know for light green/gray eyes like mine are very cute!